Now you can have that one-of-a-kind cell phone case. Features: These cases are made from the highest grade and are both durable and lightweight. This cover will protect all four corners and the sides of your phone from scratches and general wear and tear. 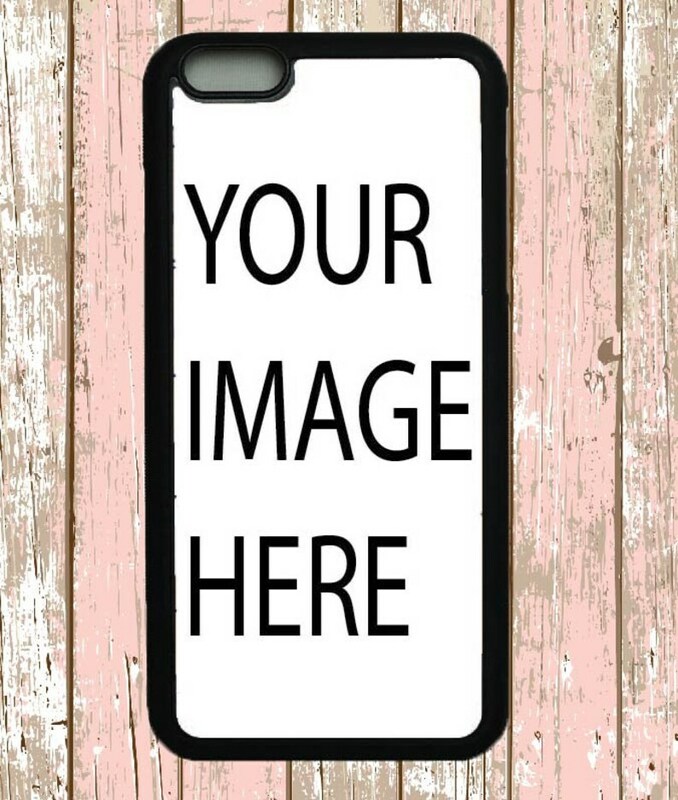 You can print anything you like on these cases, only limited by your imagination! In Order notes please leave iPhone size and if you would like white or black rubber. Custom is available you may add any photo or text of your choice. We will email you a preview before we print, please email us image you would like after placing order. My daughter loves the phone case!! Thank you for everything! Quick arrival, easy to work with and my phone case was just what I expected. We are able to create custom bibs for any occasion! We've created pieces for baby showers, birthdays, unique photos, photos of pets, or just about anything! Please contact us for a private listing we'd love to make something unique, for you! Printed bibs are made to order; please allow up to 5 business days for creation & shipping of these items. We'd love to make something unique, for you! We can place anything you would like, any photo or text! We will email you a preview before final print to ensure you love it! We will make sure your satisfied with custom print! Machine Washable, Yes even personalized custom items can be washed!! Hang dry!